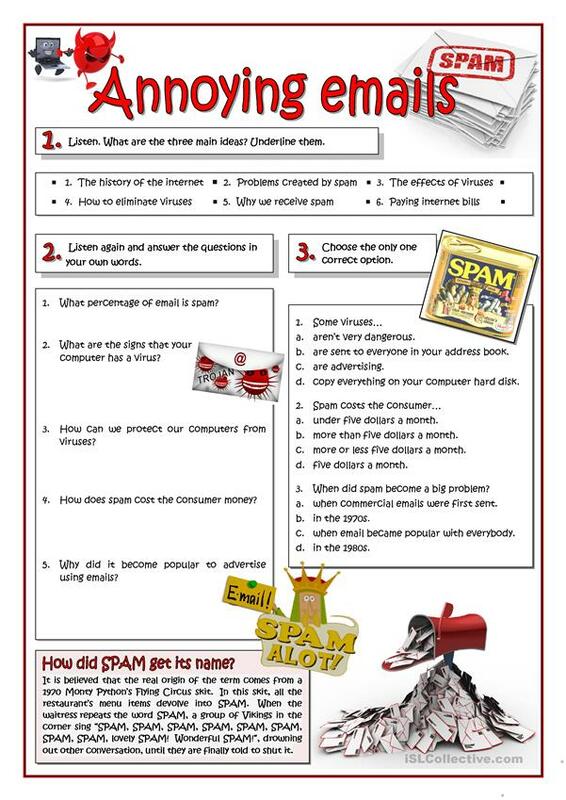 Listening practice about viruses, spam and the origin of this term. Script, key and audio link provided. 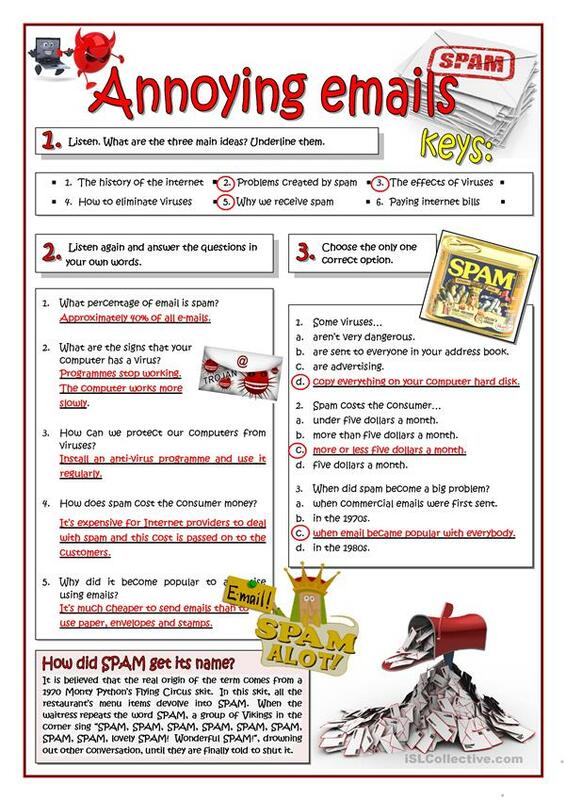 The above downloadable printable is meant for high school students and adults at Pre-intermediate (A2) and Intermediate (B1) level. It is a valuable material for honing your pupils' Speaking skills. It centers around the topic and words of Technology. You will find the answer key at the end of the worksheet.